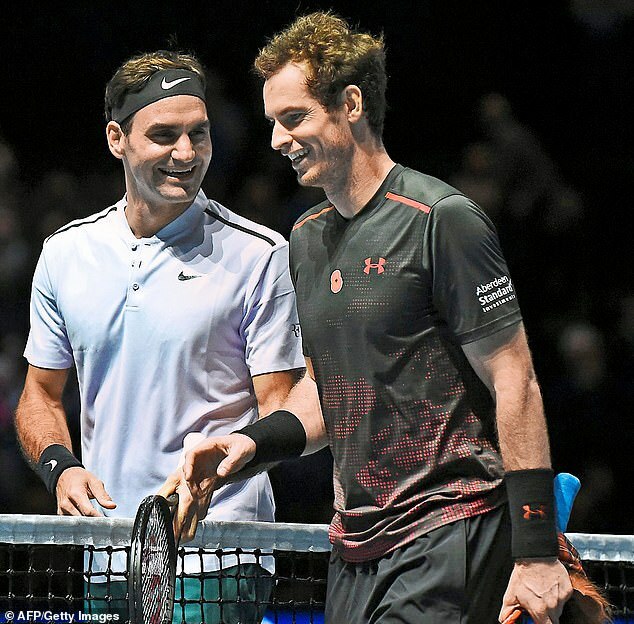 Roger Federer was never above playing mind games with his opponents and tried it on with Andy Murray before they met in their one Australian Open final back in 2010. ‘I know he’d like to win the first Grand Slam title for British tennis in, what is it, 150,000 years?’ laughed Federer, as he looked ahead to a match he would win in straight sets. The joke did not end up being on Murray, as he duly ended the wait for a GB singles winner three years later after what did, in fairness, seem like an eternity. 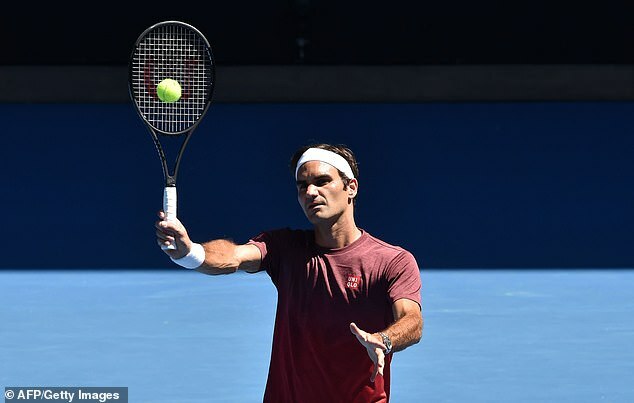 With the 31-year-old Scot heading on to court on Monday morning to face Roberto Bautista Agut in the first round there was no need for Federer, still going strong at 37, to play games. Whether it proves to be Murray’s last match in a major or not, he is no longer a threat to the great Swiss, who was able to talk in more sincere terms about what one of his rivals has achieved. In fact the news of Murray’s impending retirement has been sobering for defending champion Federer, as it is another reminder of his own sporting mortality. ‘Of course, it hits us top guys hard because we know Andy very well,’ he said on Sunday. ‘We like him. He doesn’t have many enemies, to be quite honest. He’s a good guy, Hall of Famer, legend. Nobody needed to tell Federer how serious Murray’s condition was because he was the first player to be at the opposite end of the court to him after the Scot limped out of Wimbledon 2017. The following November, as part of a reciprocal arrangement, Federer flew to Glasgow to play an exhibition match against him to raise money for Murray’s charitable foundation. As it turns out what he saw, from his unique vantage point, of his opponent’s physical state rather shocked him. The returning champion is still in astonishingly good shape. It is not just him being naturally blessed with an extraordinary physique, it is also the economy with which he plays, and the manner in which he has prepared for tournaments which has contributed to a longevity that would always exceed that of Murray and many others. But the most salient point he made was when considering how he has chosen not to work himself into the ground. 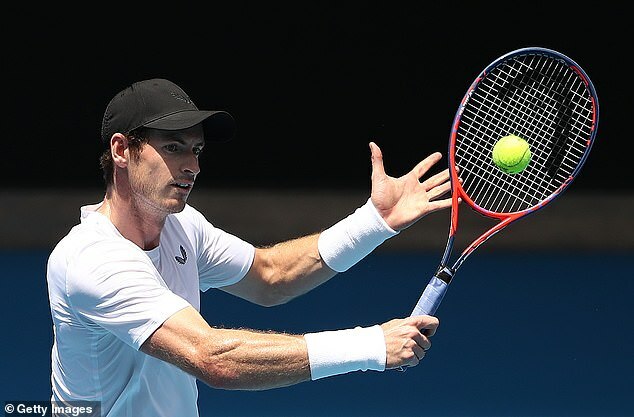 This is very much in contrast to Murray, who never felt he could compete to his optimum level unless he punished himself with an enormous training workload. Ultimately it has proved that way for Murray, whose attritional style and Stakhanovite training regime pulverised his right hip. That mentality also led, it should be said, to some short-sighted decisions that contributed to his demise. An example was late 2016, a season crowned with the hugely emotional and physically draining run to the world No 1 spot and victory at the ATP Finals. Murray should have taken a prolonged break but instead had barely a week off (including attending his father’s wedding in Scotland) before surprising observers at the time by launching straight into one of his arduous pre-season training camps. He also opted to play in Qatar in the first week of the following January rather than allowing himself proper adjustment and preparation time to bid for that elusive Australian title. He ended up losing in the fourth round when he was top seed and favourite. That, it turned out, was the beginning of the spiral of ill-health that culminated in last week’s emotional announcement. 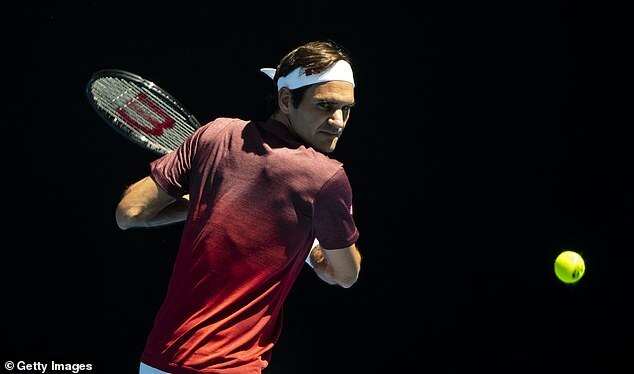 In the first part of 2017, he suffered bouts of flu, shingles and an elbow injury, and, by the grass-court season of that year, his hip was beginning to cause serious problems. This has led all the way to Monday morning’s unpredictable occasion when he takes on world No 23 Bautista Agut. He is the one under more pressure than Murray, and is the same player who crumbled to an extraordinary upset on clay last year in the Spain vs GB Davis Cup match in Marbella against Cam Norrie. Talking about himself, he feels fortunate that his only serious injury in his 30s, apart from sporadic back pain, was hurting his knee when running a bath for one of his children. He declared himself in good shape for his own opener on Monday against dangerous Uzbek Denis Istomin. ‘I really understand my body very well, I know when something hurts and I can play with it,’ he said. ‘When you’re young, let’s just say you have a pain in the elbow, sort of next day you can play with it, two days later it’s like you never had it.